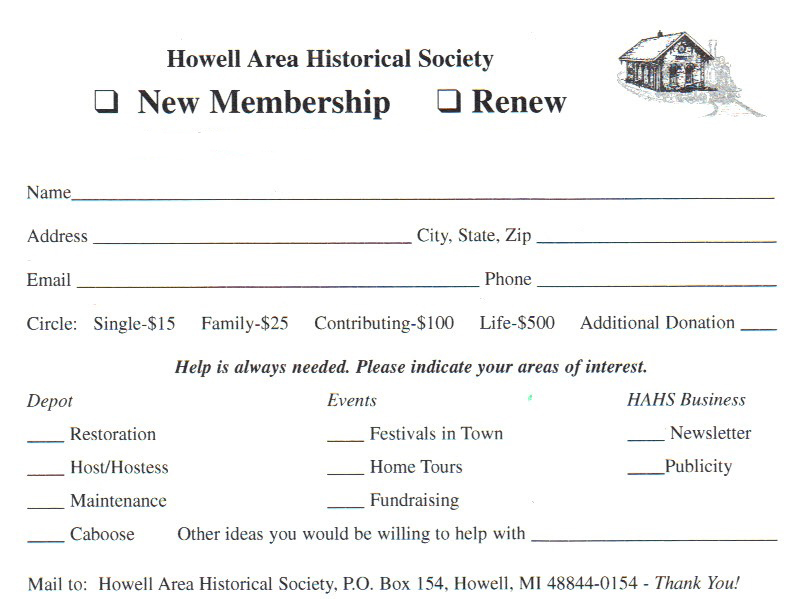 You can help the society preserve the past, inspire our youth and engage the community by becoming a member. Depot Museum, unless otherwise notified. with connections to the Howell area. paid on-line by visiting the donate page. Please consider making a tax deductible donation to support the work of the society.